Before the shahadat of Imam Ali (AS), he told the people to ask him whatever they wanted to ask him, before they would lose their access to him. This sentiment is so powerful. Whenever I think of this, I wonder what questions the companions must have asked. I wonder what I would have asked the Imam (AS) if I had this opportunity. Sadly, we do not have this opportunity, not with Imam Ali (AS), and not with our 12th Imam (AS) right now either. It echoes what we recite in Dua Iftitah every day this month, complaining to Allah (SWT) about our separation from our Imam (AS). As we discuss the shahadat of Imam Ali (AS) and ponder his infinite knowledge and wisdom, have a discussion with your kids. What questions would we have asked the Imams (AS)? 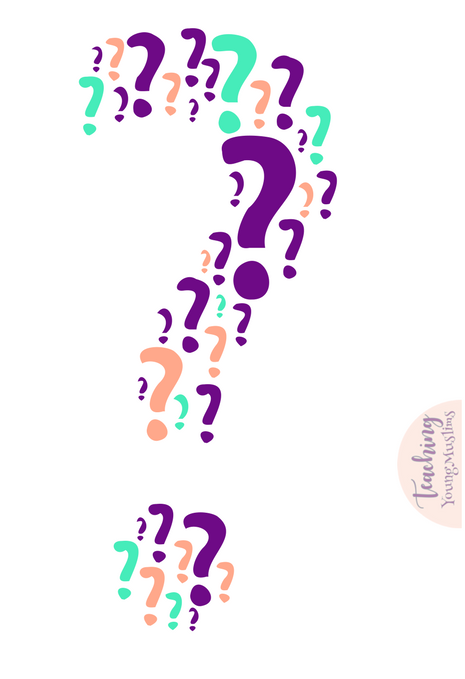 What questions do our kids want to ask the Imams (AS)? What are they curious about, that we do not have an answer to, that Imam Ali (AS) would have definitely been able to answer? Keep a running list of their curiosities, and remember the deep sadness we have that we cannot access our Imams (AS).